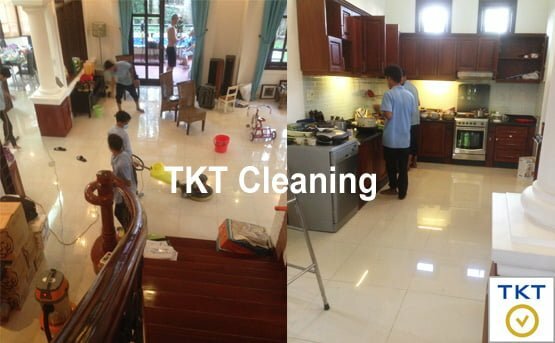 House cleaning service (residential cleaning service) of TKT Cleaning: Comprehensive – Professional – Careful – Best price will satisfy customers. to our advice, surveys and free quotation. General cleaning of buildings after construction: clean all the remaining construction stains: paint, cracks, dirt, stains, glues, cement, lime … from top to bottom, inside and out. Your family just moved into the space in a fully clean. General cleaning of buildings using: cleaning the entire inside and outside the house, apartment, villa, bedroom, kitchen, hotel, bathroom …, and furniture (desks, cabinets, sofa , cushions, curtains …). Your family will preserve hygienic single best way to ensure the health of the whole family. 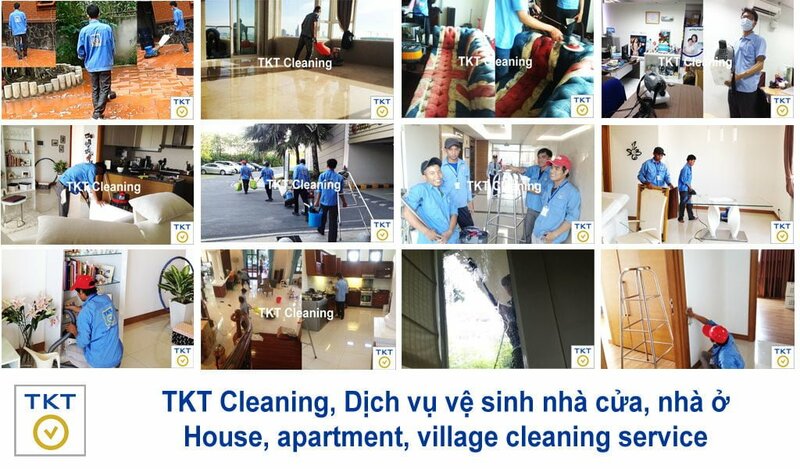 TKT is the leading Professional cleaning companies in the city. We have a fully equipped modern, environmentally friendly chemicals for cleaning up. Staff perform cleaning services are trained and disciplined professional both ways of working and communicating with customers. Criteria for implementation of services TKT is Careful and meticulous in cleaning the smallest detail, the most difficult corners. We guarantee the Best price when performing services. Because CWD trading as suppliers of equipment, chemicals leading in HCMC, so we create a competitive advantage in the provision of services from other companies. Moreover, if you need an Honest cleaner- Dedicated – Friendly to help you maintain the daily household cleaning please contact us. TKT is a pioneer and reputation in providing hourly maid in the city.